I discovered how to use the phone to create rapport with my clients and provide value right over the phone... Instead of dreading the phone, I was looking forward to connecting with my clients and finding out how I could be of service to them. Linda Sturdivant is a direct sales professional with 20+ years’ experience. Starting, as many do, with booking the occasional show and purchasing products for herself, she found that what worked for that level of business no longer worked when looking to ramp up to higher sales and growing a larger team. Traditional training only helped a little in both areas. It was not until she combined her own experience with learnings from a variety of classes and training that something almost magical happened. When Linda discovered how to communicate with her clients and team members in a way that builds rapport while delivering massive value, everything changed! Now she is on a mission to share those insights with others who are looking to serve others and accomplish their goals of growing sales and teams. Hi, I’m Linda Sturdivant. I wanted to take a minute and introduce myself and respond to the question you probably already have in your mind. Who is Linda Sturdivant? I am a direct sales professional with over 20 years experience. I was not an overnight success. For the first 5 years of my career, I was a “hobbiest.” I booked the occasional show and made up my minimum sales requirements with my own personal purchases. I was working as a labor and delivery nurse on the evening shift (3 PM to 11 PM) and I loved helping people have babies. I worked 3 to 4 days a week and three weekends a month. That left time to “dabble” in direct sales. Then one day something happened. Our youngest son was struggling in school. He was going to need additional support with his studies from us. So, I announced that I was going to quit my job to make sure our son was successful in school. My husband asked, “How will we send the kids to college if you quit your job?” I replied, “I’ll work my direct sales business and save money for college.” I intended to work my direct sales business around my family’s schedule. I was determined, but really didn’t know how to build my business. I tried all the ideas I could find. I read books, listened to audios, watched videos and attended training events. It was challenging to say the least. I “stepped outside my comfort zone” over and over again. Yet, something was missing. My results were sporadic at best. "If you haven't had a chance to experience Linda Sturdivant you need to find out where she's speaking next and be there!" "I want to honestly share how impressed I am with your level of support and encouragement. You are exceeding ALL my expectations...so a big thank you!" Then I discovered how to use the phone to create rapport with my clients, and later, with my team members, and provide value right over the phone. It was just a few adjustments to what I’d been doing but it made all the difference. Instead of dreading the phone, I was looking forward to connecting with my clients and team members to discover how I could be of service to them. And it saved me so much time, too! Would you like to discover how to invest 15 to 20 minutes a day and build rapport with and keep your team members moving toward their goals and dreams? Would you like to feel happy and satisfied with your customer and team member conversations instead of dreading them? Are you ready to take total control over your results whether it be earning the next incentive trip, paying off credit cards or putting your kids through college? Why Should You Believe That I Can Help You? Honestly, you shouldn’t “just believe me.” In fact, I would recommend that you approach my approach with a healthy skepticism, and a perspective that there should be proof of something before you truly “believe.” That’s why I offer lots of ways for you to TRY what I have to offer before you commit to anything. Third, click HERE and schedule your own Activate Your Team Strategy Session to discover how you can take your business to a new level while you save time, build rapport and enjoy the satisfaction of helping your team members achieve their dreams! Want some no-BS insights on why your team members don't take action in their business? Are you ready to stop spinning your wheels and take control of your results? 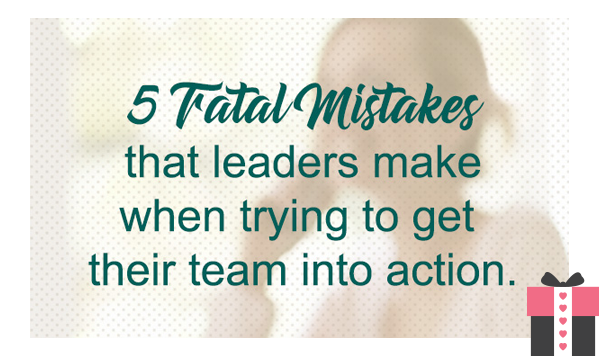 Get answers now on how to fix these 5 Fatal Mistakes! Get More of Your Peeps Together! Ever feel like you are just spinning your wheels? 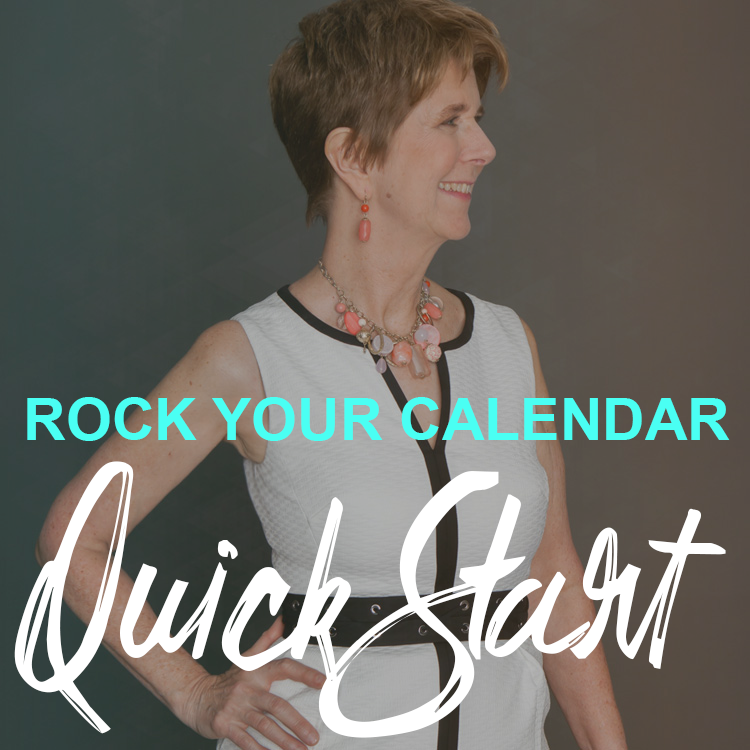 My Rock Your Calendar Quickstart System is a proven step-by-step method to guide you through your phone calls and help you generate sales. You will receive the complete 5-step system, a worksheet to customize it to your business, plus the Quickstart Guide.